Scientists of the British Columbia Children's Hospital in Vancouver, Canada, presented two cases of children with pilocytic astrocytoma, who underwent surgery with incomplete removal of the tumour, leaving behind a small residual in each case in the brain. In the first three years after surgery, in one case there was no change in tumour size and the other showed slight increase in size, followed by clear regression (decrease in tumour mass) of both residual tumours over the following 3-year period. Neither patient received any conventional adjuvant treatment. Researchers noted that "the tumours regressed over the same period of time that cannabis was consumed via inhalation, raising the possibility that the cannabis played a role in the tumor regression." Pilocytic astrocytoma (PA) is a tumour of the brain that occurs more often in children and young adults. These tumours are usually slow growing but may become very large. They are considered as benign tumours. Authors noted that "it has become increasingly recognized that regression of PA residuals is not rare" and that "the cause of regression may involve a combination of factors in any individual case." They advise caution against further aggressive surgery for small residual PAs, "even if there appears to be slight progression, since regression may occur later. 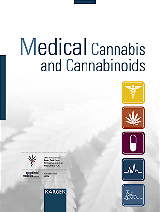 Further research may be appropriate to elucidate the increasingly recognized effect of cannabis/cannabinoids on gliomas." In a press release the British company GW Pharmaceuticals and the Spanish company Almirall announced that national approvals for Sativex are expected in Germany, Italy, Denmark, Sweden, Austria and the Czech Republic in 2011 or 2012 for the treatment of spasticity due to multiple sclerosis. Launches in Germany, Denmark and Sweden are expected before end of 2011. Following initial approvals obtained in the UK and Spain during 2010, the objective of this Mutual Recognition Procedure for EURopean countries was to expand the approval of Sativex to six additional EURopean countries. This procedure has now closed successfully with the regulatory authorities in all six countries confirming that Sativex meets their requirements for approval. The next step in the regulatory process involves separate national phases in each country to finalise local wording on product packaging and related documents and also to agree any other country-specific requirements. Following completion of the national step, GW Pharmaceuticals and Almirall expect each country to then issue a national marketing authorisation. They anticipate launch before the end of 2011 in Germany, Denmark and Sweden with the remaining countries expected in 2012. Sativex has been developed by GW Pharmaceuticals and Almirall holds the marketing rights to this medicine in EURope (except the United Kingdom). In the section on "Complementary and Alternative Medicine" on its website the National Cancer Institute for the first time gives some information on cannabis and cannabinoids. In the section "General Information" the text says: "The potential benefits of medicinal Cannabis for people living with cancer include antiemetic effects, appetite stimulation, pain relief, and improved sleep. In the practice of integrative oncology, the health care provider may recommend medicinal Cannabis not only for symptom management but also for its possible direct antitumor effect." 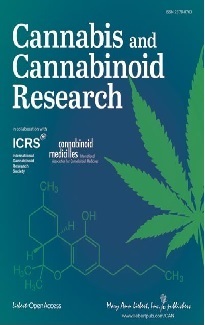 In the section "Overall Level of Evidence for Cannabis and Cannabinoids" the text says: "At present, there is insufficient evidence to recommend inhaling Cannabis as a treatment for cancer-related symptoms or cancer treatment–related side effects outside the context of well-designed clinical trials." In the section "Adverse Effects" the text says: "Cannabinoids have a favorable drug safety profile. Unlike opioid receptors, cannabinoid receptors are not located in the brainstem areas controlling respiration; therefore, lethal overdoses due to respiratory suppression do not occur. Because cannabinoid receptors are present in tissues throughout the body, not just in the central nervous system, adverse effects include tachycardia, hypotension, conjunctival injection, bronchodilation, muscle relaxation, and decreased gastrointestinal motility. Although cannabinoids are considered by some to be addictive drugs, their addictive potential is considerably lower than that of other prescribed agents or substances of abuse." Cannabis will be available for seriously people as early as this summer in New Jersey, where the most restrictive law governing the practice in the USA is regarded as a model for some people in other states. Only patients in New Jersey suffering from specific ailments such as HIV, cancer and multiple sclerosis can be prescribed medical cannabis, and then only after other treatments have failed. The law also is the first to prohibit patients from growing their own cannabis at home. Recently the New Jersey Department of Health gave contracts to six non-profit organizations to grow and distribute medical cannabis at six authorized locations. Some legislators in states such as Maryland and Pennsylvania, where the medical use of cannabis has been proposed, are looking to New Jersey's system, instead of more permissive systems in California and Montana, as a guiding framework. California allows patients suffering from a wide range of ailments to grow their own cannabis or obtain it with a doctor's recommendation from a dispensary. Fifteen states and the District of Columbia have laws permitting cannabis for medical uses. The District's law, approved last year, allows patients with certain ailments to obtain cannabis only from city-regulated dispensaries. Advocates of the medical use of cannabis worry the New Jersey law is a harbinger of models so strict that they fail to serve patients in need.